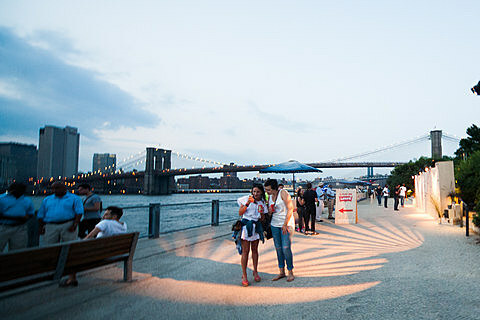 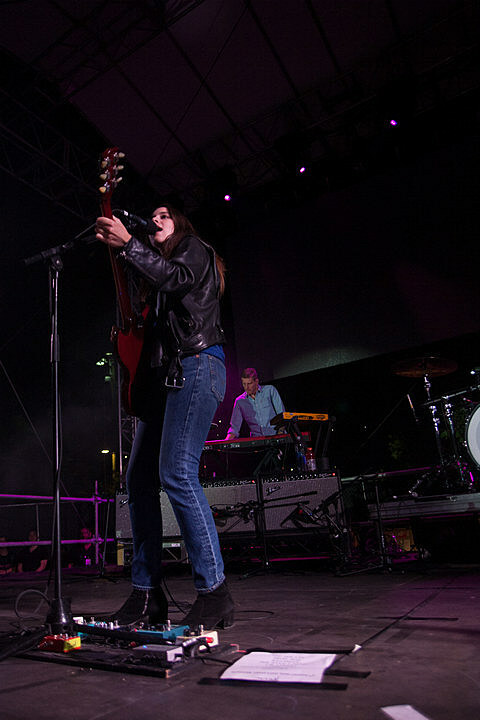 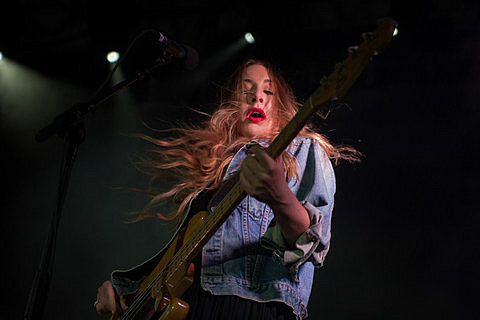 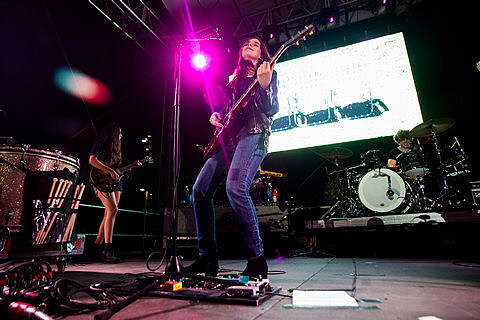 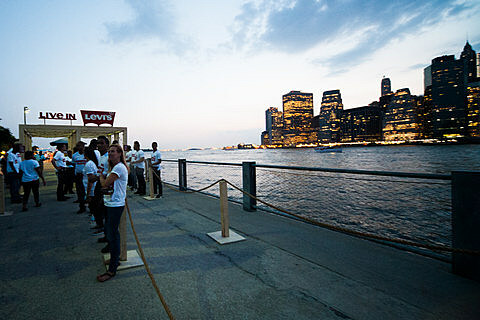 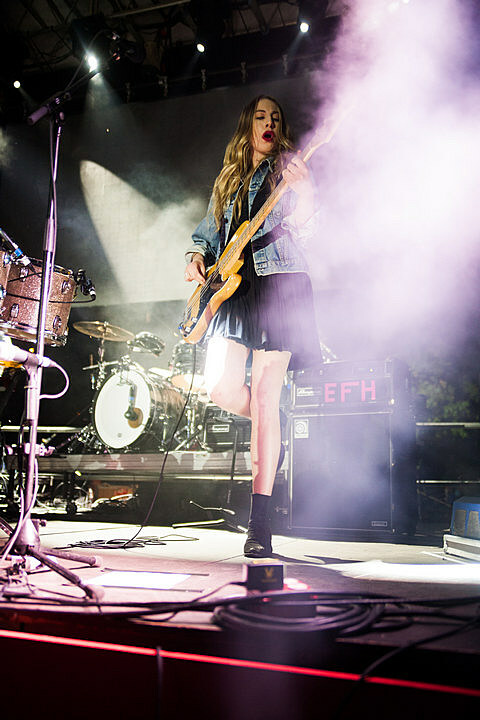 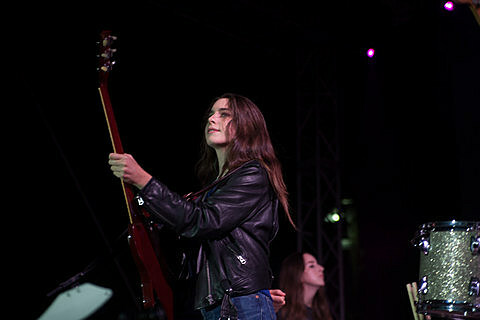 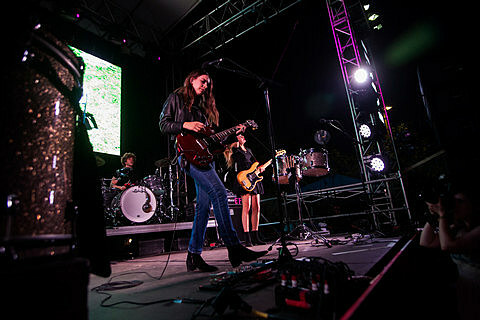 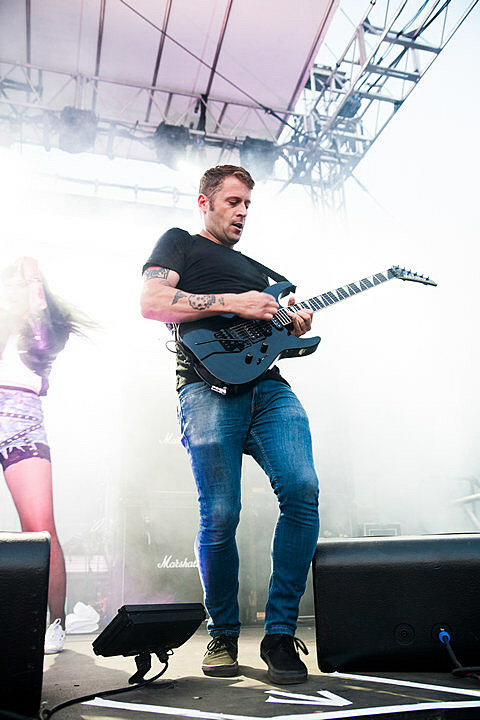 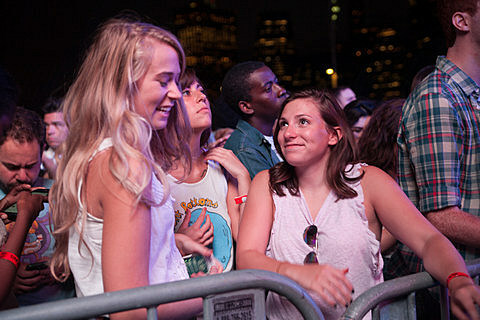 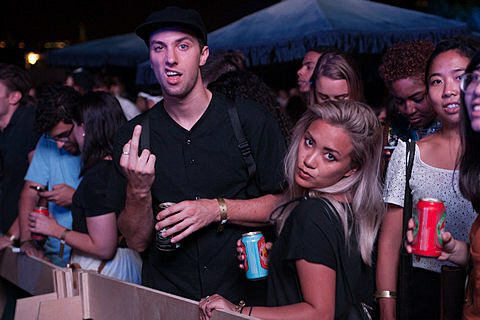 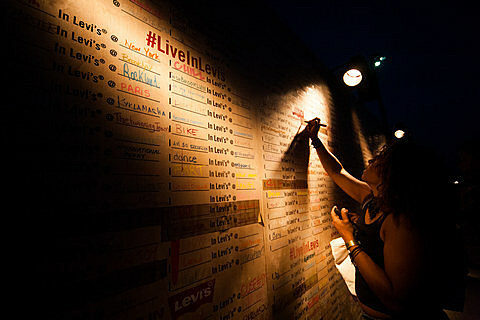 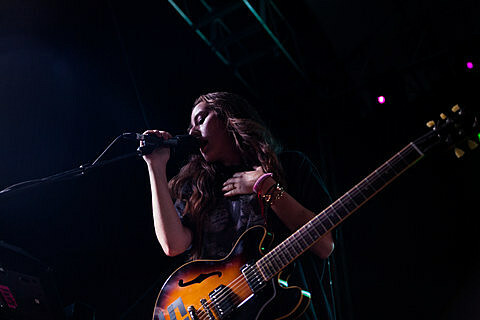 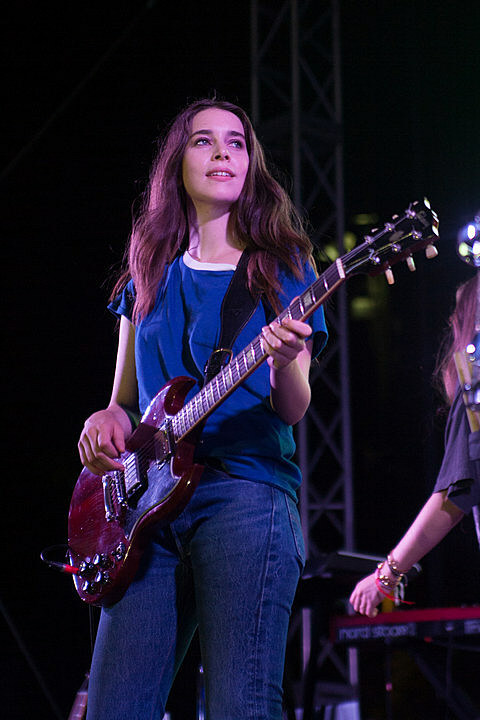 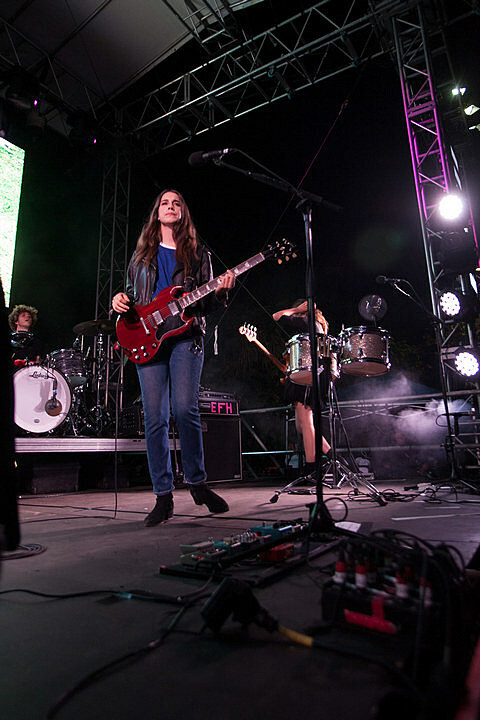 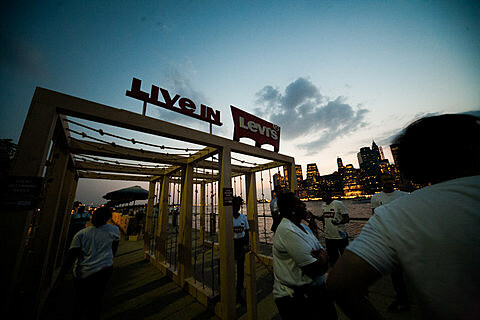 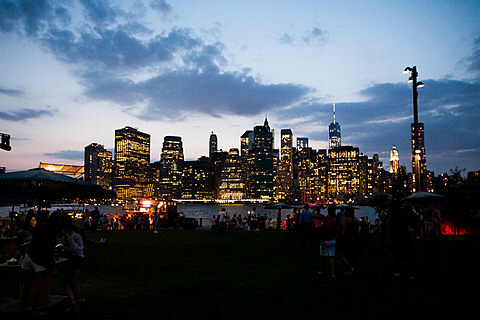 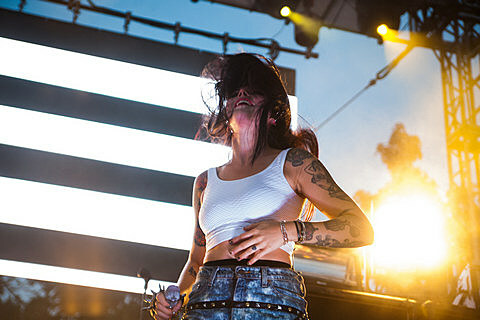 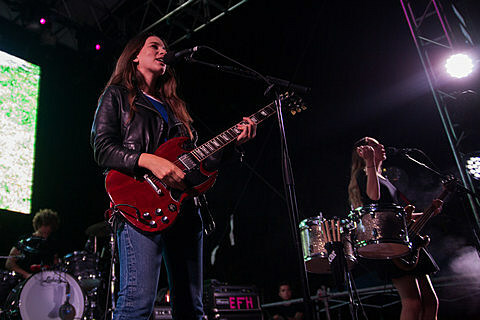 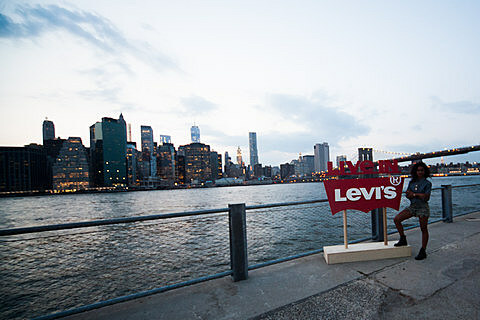 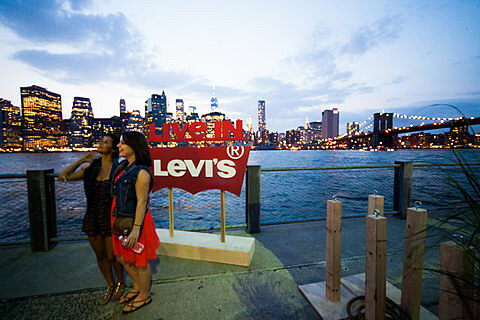 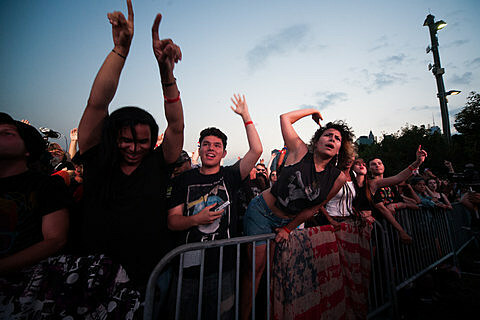 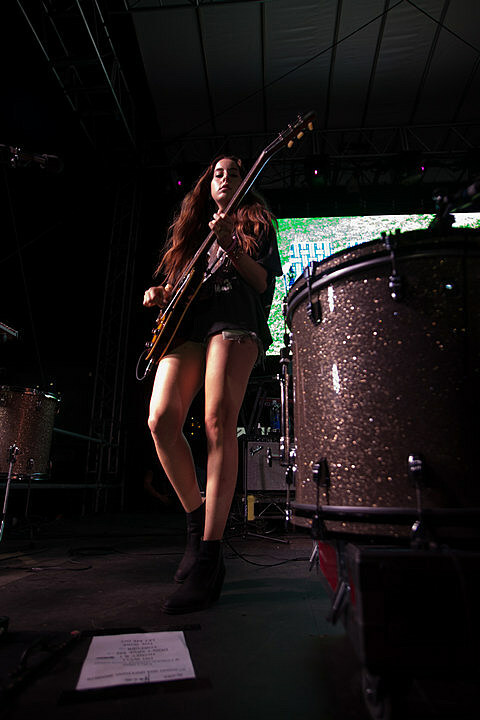 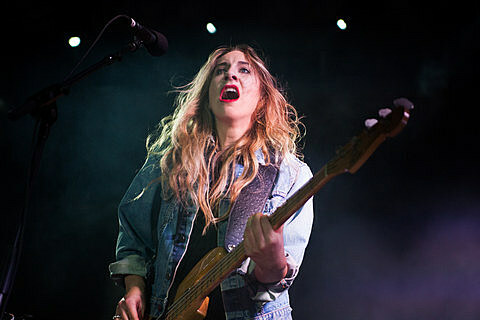 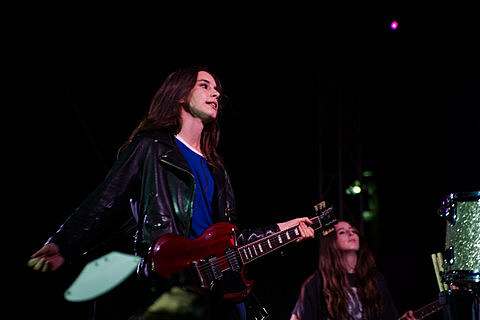 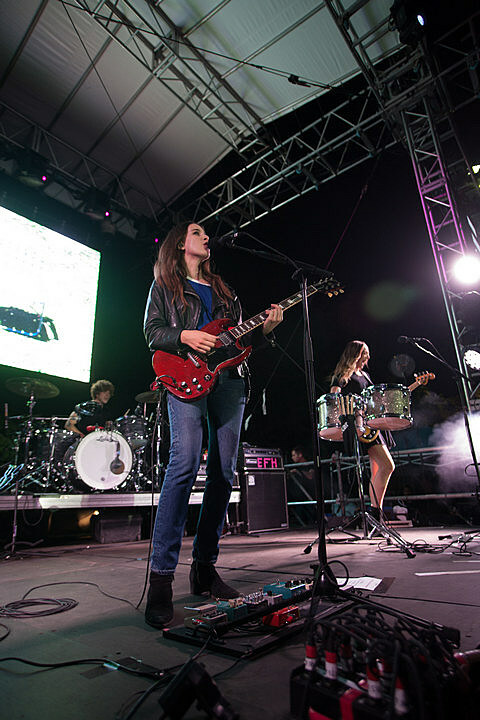 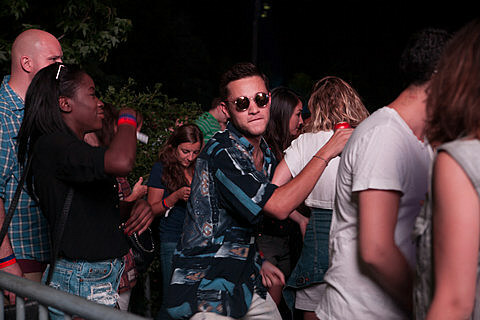 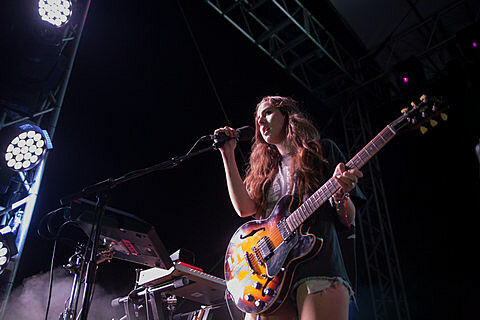 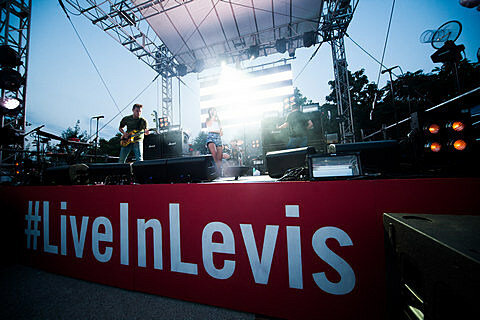 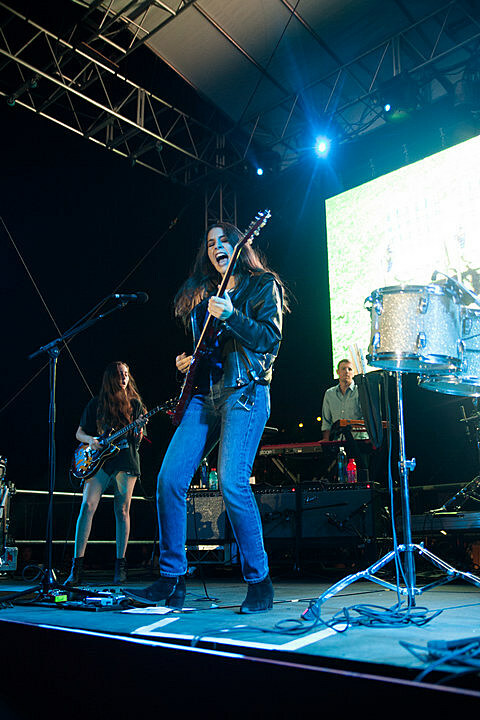 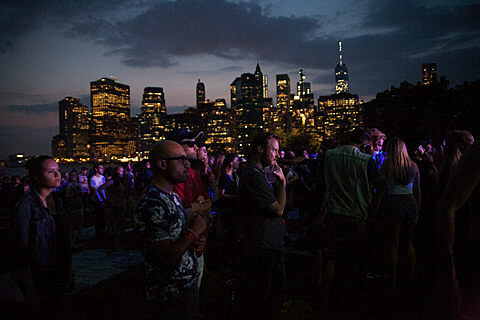 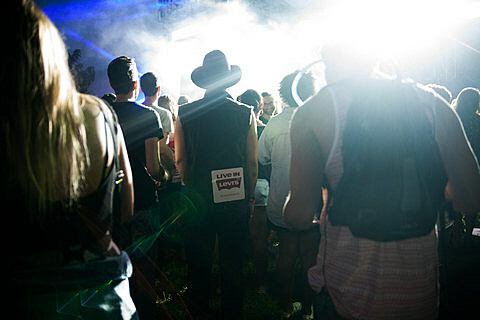 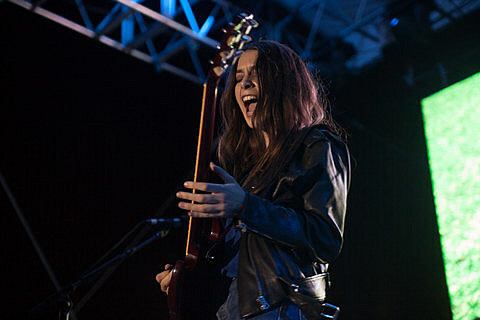 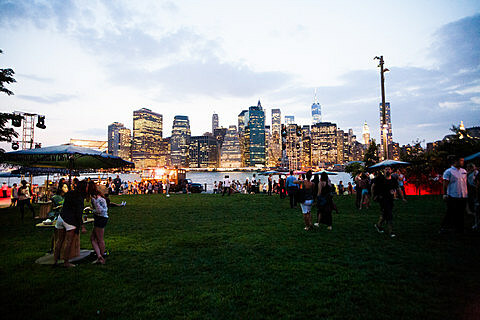 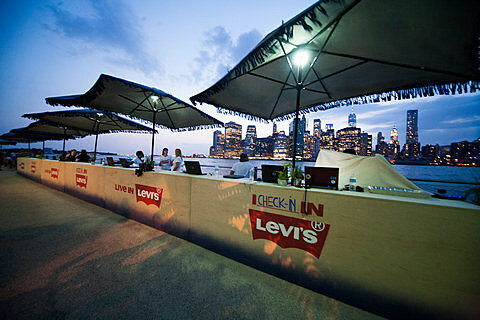 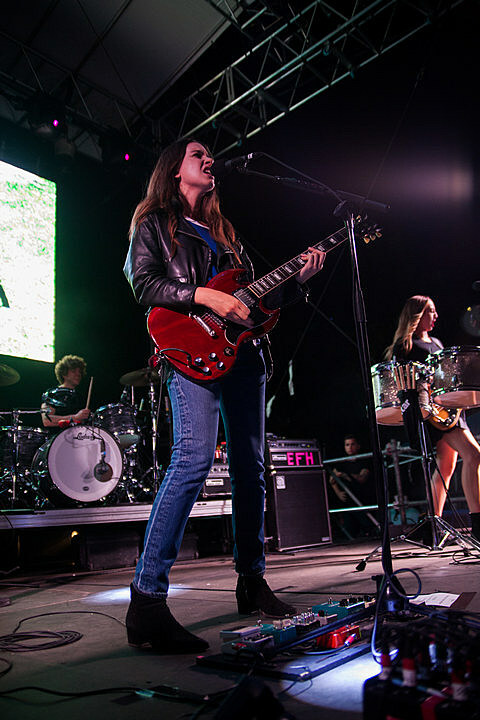 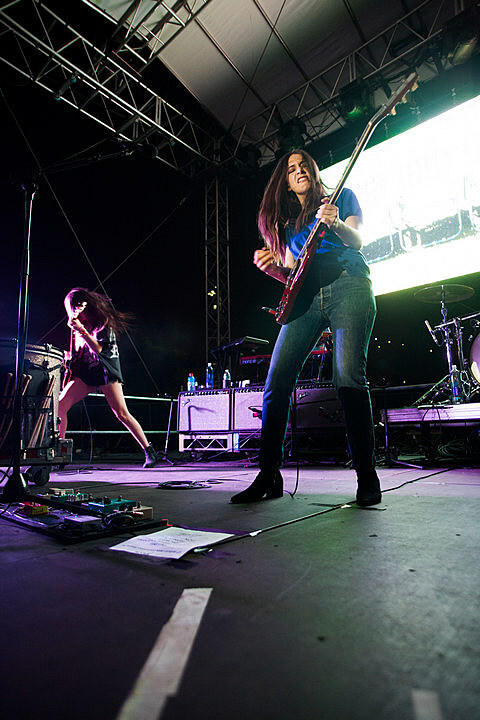 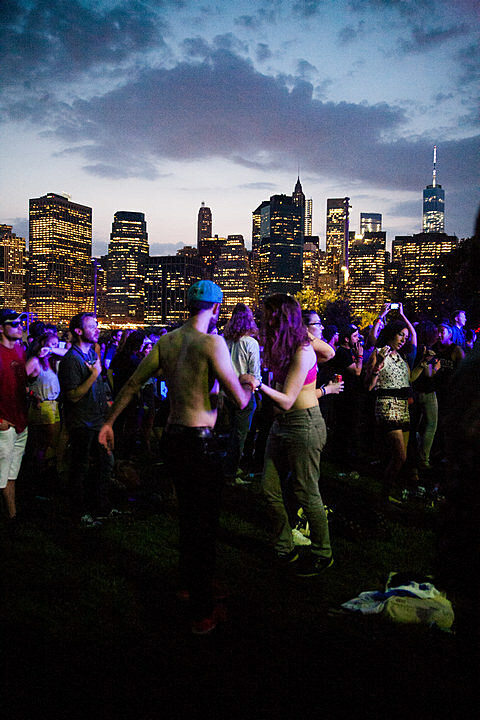 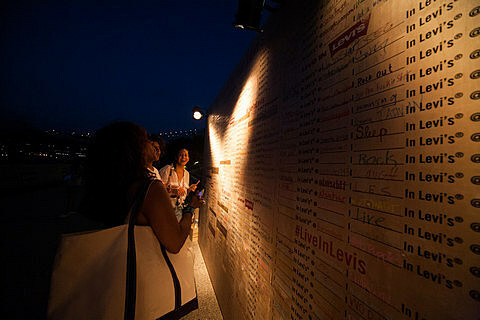 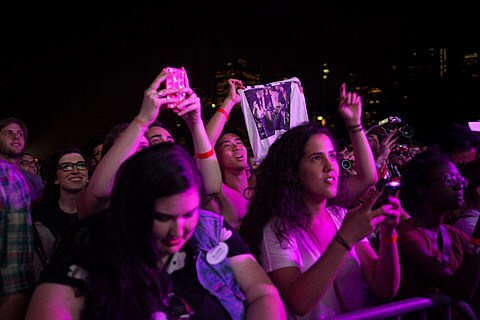 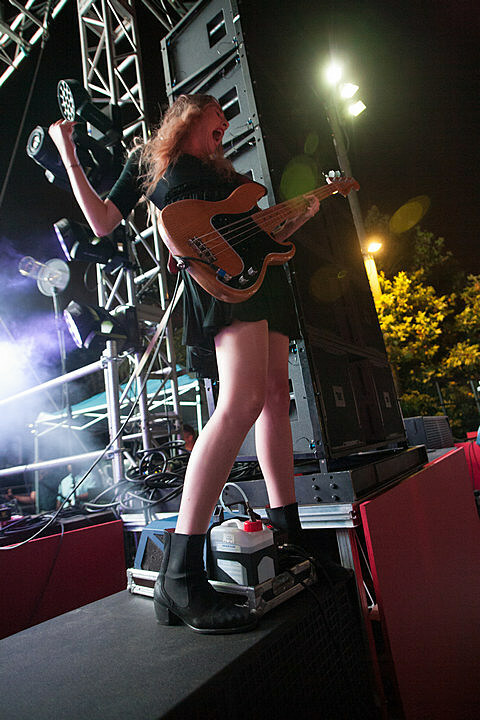 With the Manhattan skyline as a backdrop, Haim and Sleigh Bells played Brooklyn Bridge Park last night (8/5), a free show to promote the launch of Levi’s new “Live in Levi’s” campaign. 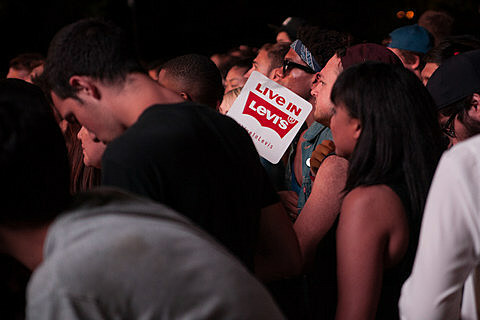 (You had to wear an item of clothing from the manufacturer to get in.) 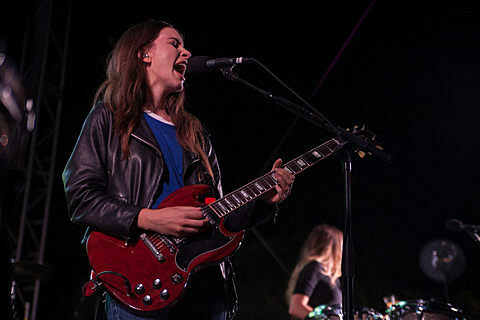 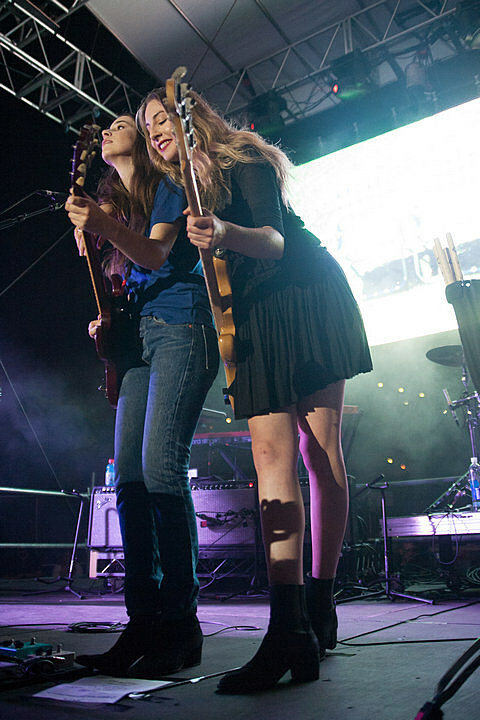 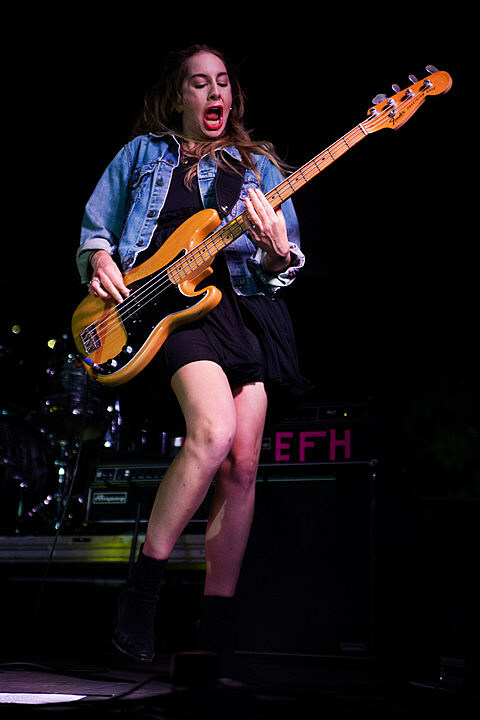 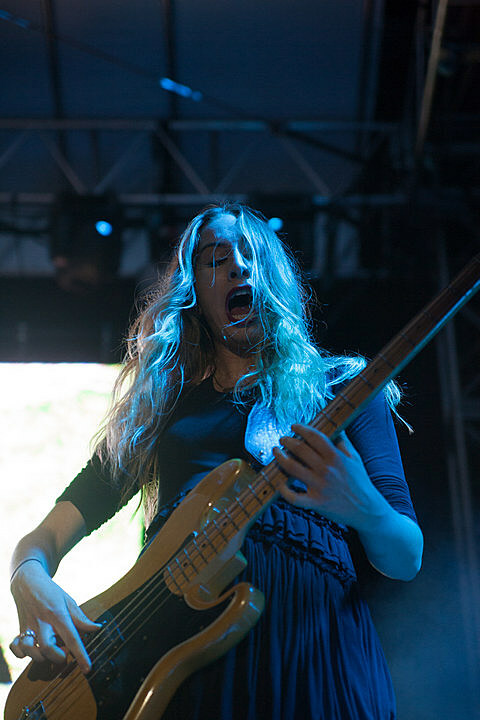 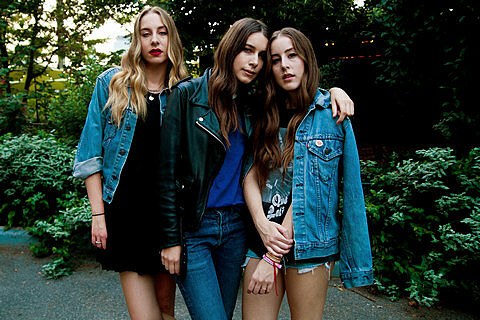 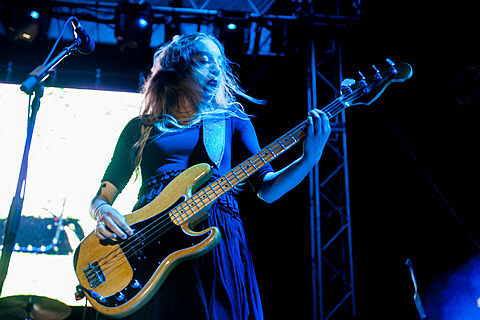 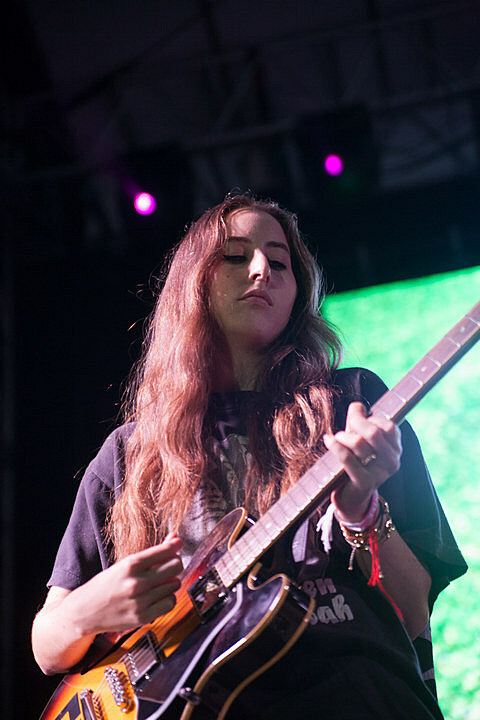 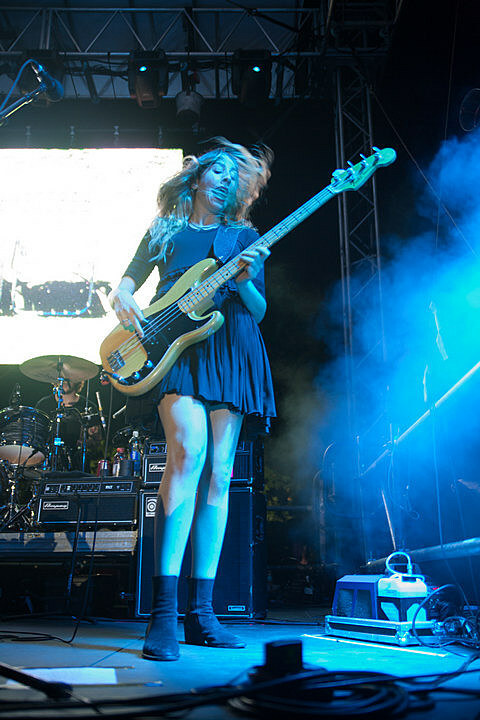 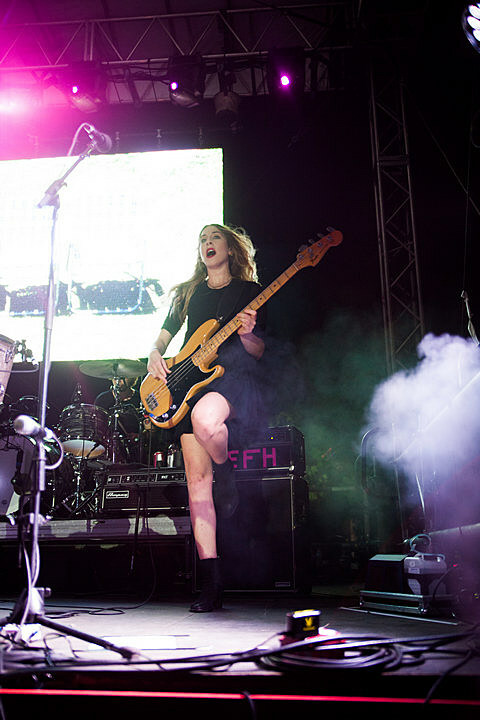 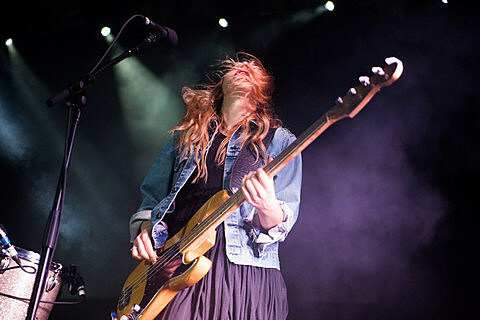 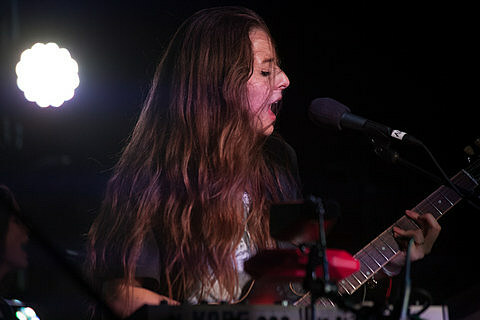 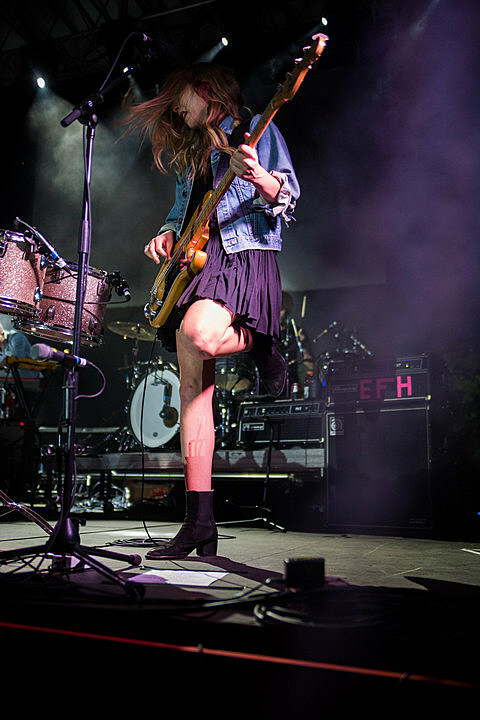 Este Haim remarked that she used to eat playdough as a kid — so much so that she had to get her stomach pumped — and the smell from the park smelled exactly like playdough. 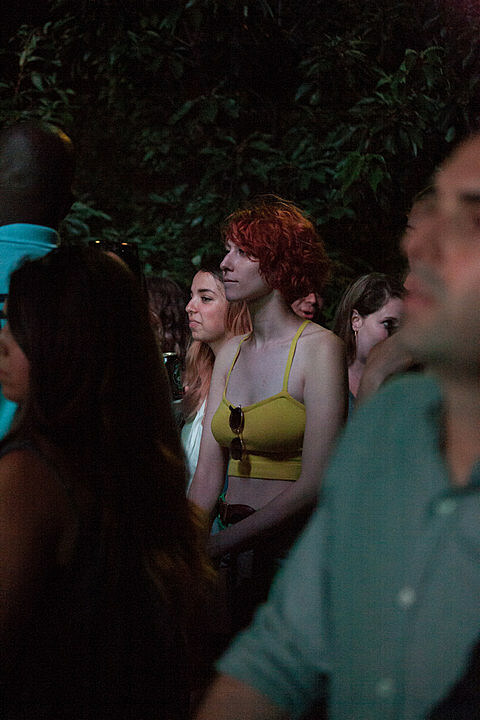 She had a craving…but ate a candy bar instead. 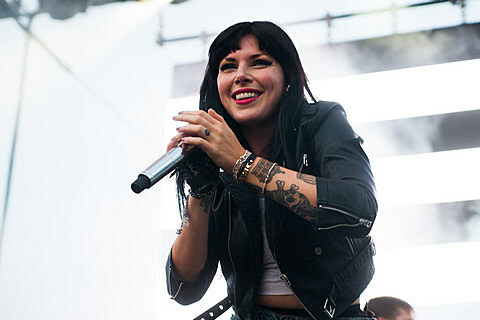 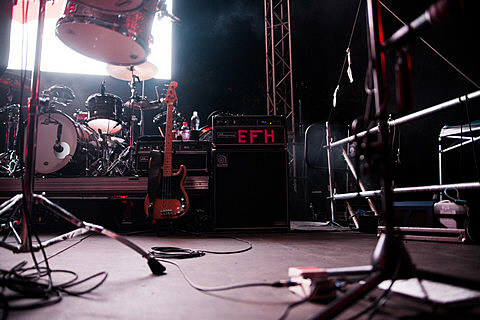 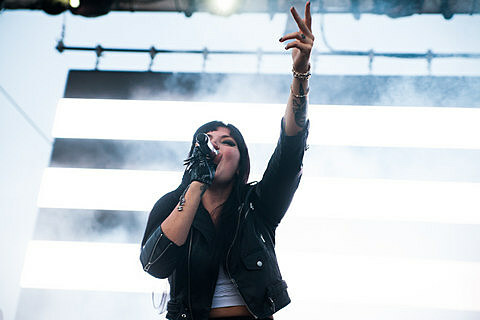 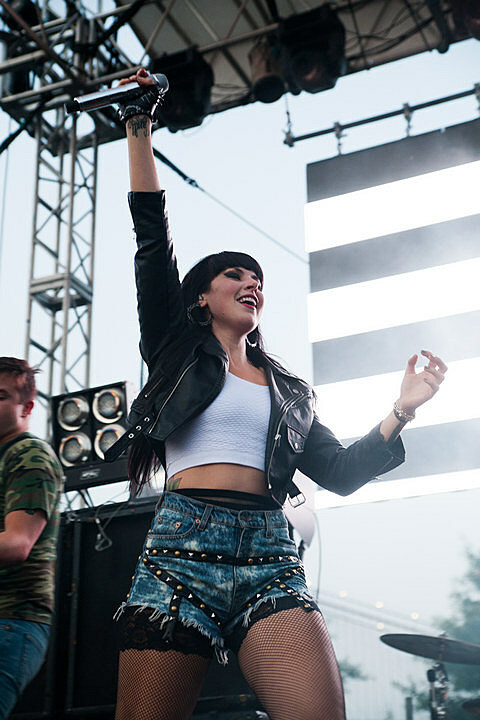 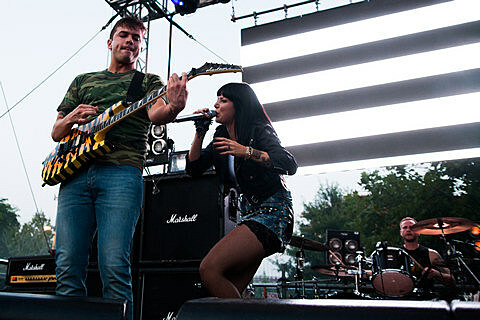 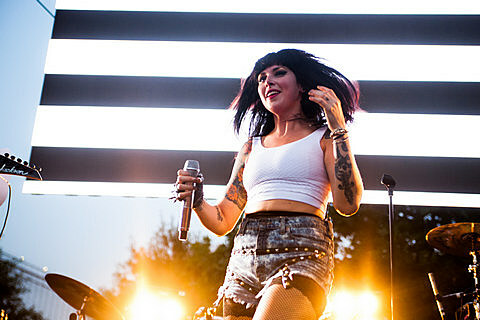 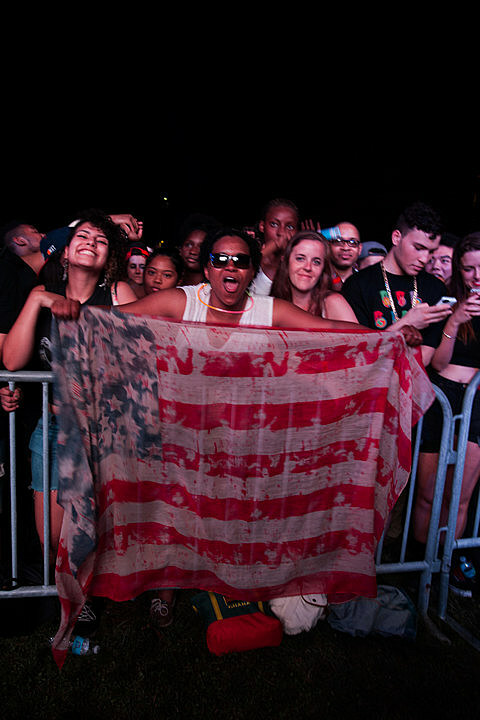 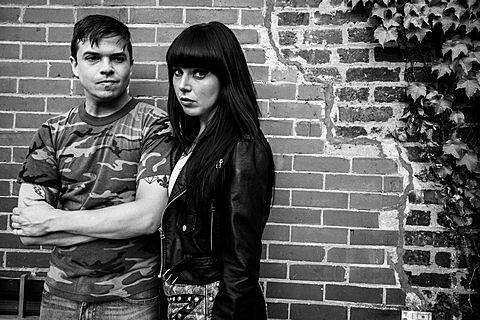 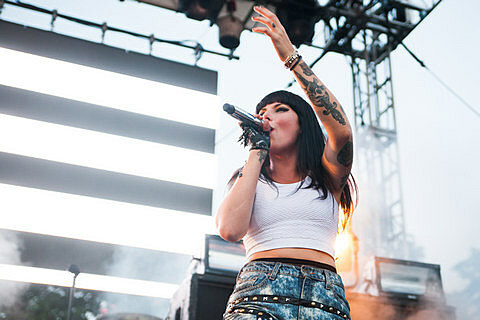 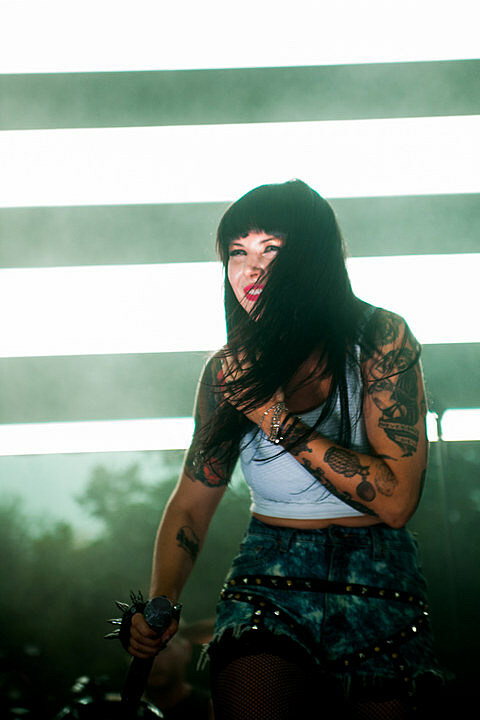 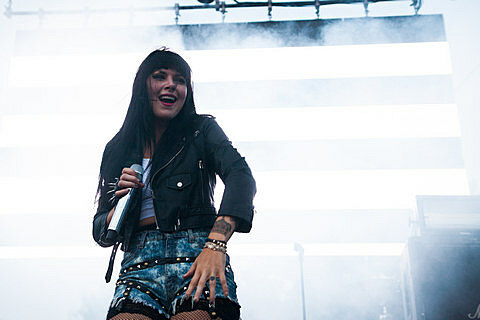 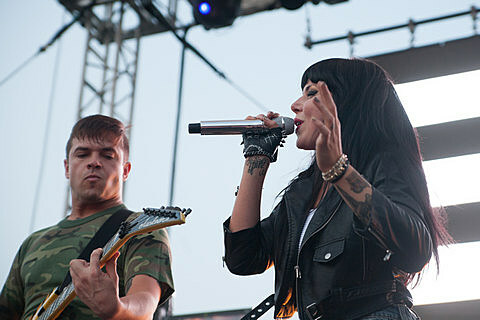 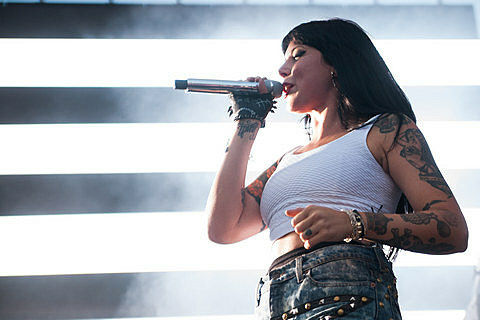 Sleigh Bells, meanwhile, said this would be their last show for a while. 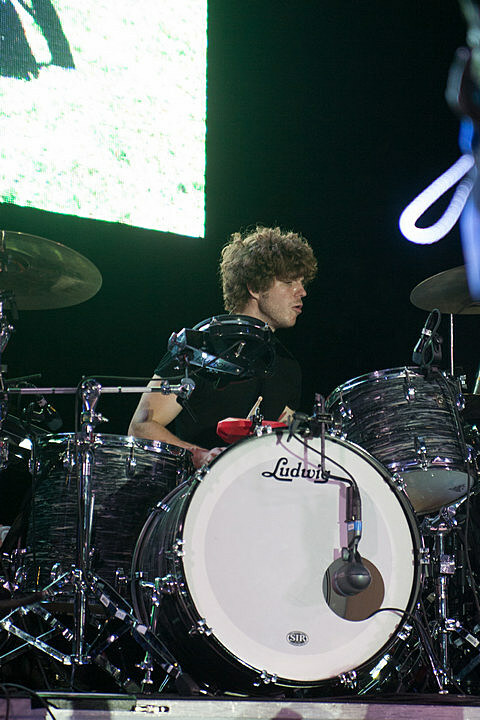 Both played for about an hour each. 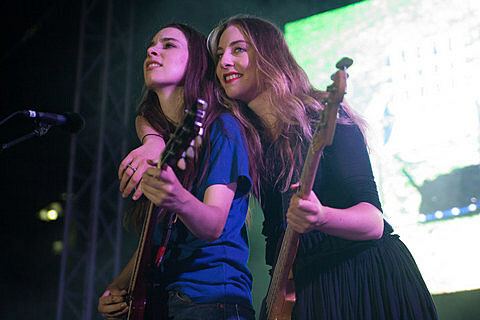 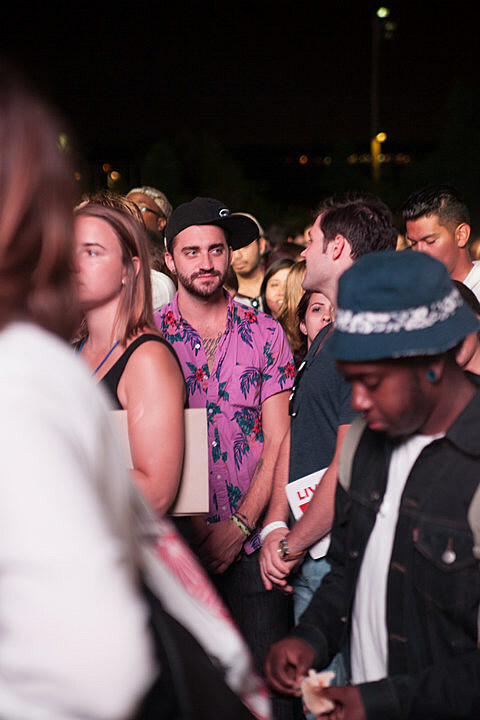 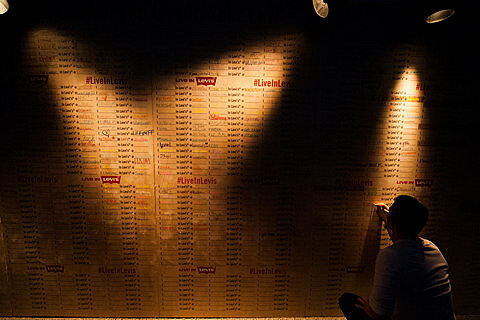 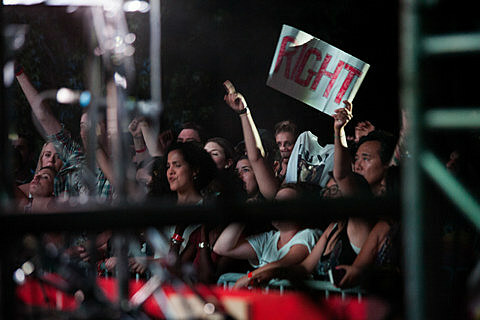 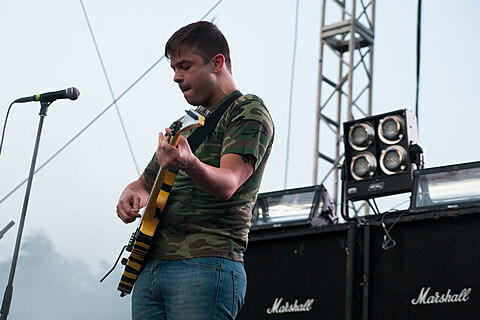 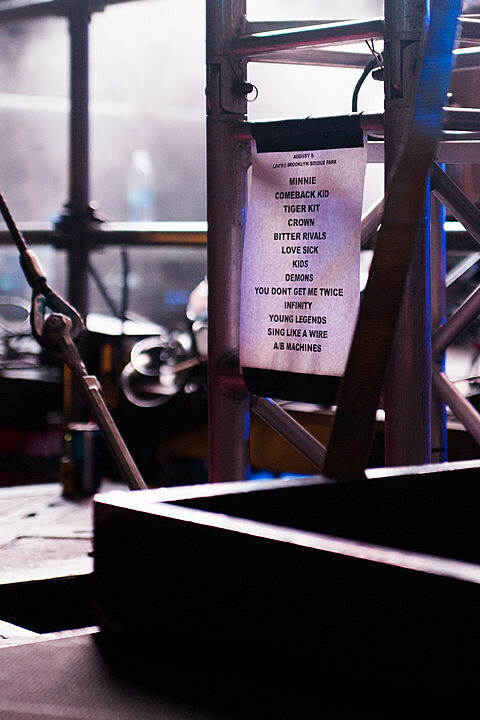 Pictures from the whole night, including ones of their setlists, are in this post.